Ravensara Aromatica – a confused tale. Taxonomy is the science of naming things. Botany is the science or study of plants. Combining the two produces the scientific or Latin names that help identify species. In recent years the population, and in particular gardeners, will have seen a number of name changes which has led to a lot of confusion as to what something really is. For example, a classic example in the English-speaking world is bluebell. In England, this refers to Hyacinthoides non-scripta, in Scotland to Campanula rotundifolia, in Australia to Sollya heterophylla and in North America to species of Mertensia. As with many things, the reason for this increasing confusion has at its heart politics. Within the European Union there is a drive for what we may euphemistically call harmonisation. It is better defined as standardisation. The mind of the EU has in terms of bureaucracy a distinct communist flavour. The new accession countries having just given up this system will know precisely what I mean when I say that a Dill plant growing in Poland should behave and grow as a Dill plant placed in France at least according to the bureaucrats. Unfortunately, nature doesn’t conform this way so the bureaucrats have been at trouble to try to remove from sale cherished and old national seed varieties, making them in fact illegal to reproduce. The loss of gene pool resources was little thought of until the process was well under way. It was of course non-governmental organisations that first picked up this loss and institutions like the Henry Doubleday Institute in the UK pioneered the retention of valuable species and varieties that the EU in its harmonic wisdom had decided were no good for society for one reason or another. Consecutive with these changes was, of course, the impetus that was given to the production of European new varieties. It also opened the door to the patenting of these new varieties, which were themselves more often than not reliant upon precise fertiliser input, herbicide and pesticide use enabling a virtually guaranteed wall to wall production throughout Europe favouring the largest companies. Unsurprisingly the common man or woman gets a little confused as to what is really going on and why there is the necessity to change the text books. Political interference is not a new phenomenon, especially in the continent of Europe. The French and British in particular have been antagonistic for as long as one can remember. The British won the empire-building race, often at the expense of the French. Neither have the French really forgiven the British for Waterloo or together with the Americans, for getting their country back and giving them a seat at the United Nations on the Security Council! This old antagonism today surfaces in the way that the French language has been has been down graded as the “lingua franca” of the world by English. French bureaucrats hate the spread of anglicised words and even have special laws about it. This empirical battle even spread to botany. In the world of scientific knowledge British and French explorers slogged it out around the world, discovering plants and sending them back to Europe, giving them Latin names. Sometimes they classified them the same and sometimes differently. When a plant’s name is written out in full in Latin at the tail end will be the name of the person the plant was named after or discovered by. For example Eucalyptus globules La Balladiere. (Clearly a Frenchman won this particular point!) This empirical battle of the experts is at the root of why our bureaucrats found it necessary to try to harmonise things and the French methodology seems to be winning that battle. We can view such matters in an amusing light and it does give rise to some problems. As hinted above, there is a real concern that creeping standardisation has a clear political agenda in supporting the large companies, particularly those that are multi national in a European context. If there is a contract between capital and government, then standardisation is simply a control mechanism for labour. Certain parts of legislation are used to blind the population at large with what is really going on. The well-known British Prime Minister, Margaret Thatcher, openly referred to EU Health and Safety policies as “creeping socialism through the back door”. Her analysis has been shown to be very accurate. Why should we be discussing such matters? Ask any Aromatherapist a few years ago what was their favourite oil for diseases caused by viral infections and you would probably get the answer Ravensara. Life was simple, very few people actually sold Ravensara, and we all know what it was and where to buy it from. My introduction to Ravensara came many, many years ago – even before I was involved with essential oils – when I first met Pierre Franchomme who, well over 25 years ago, was promoting the oil. Not so long after, Fragrant Earth introduced the oil because Teddy Fearnhamm and latterly Ulla Maia Grace were wanting to promote the material for its spectacular success for its anti viral properties. I also remember a conference that Teddy Fearnhamm must have attended at which it was suggested that Ravensara was no more than Camphor. The information I supplied to her, which must now be some 18 years ago, was that this was quite wrong and that the essential oil of Ravensara did not even begin to resemble Camphor, which it does not. However, that has proved to be not the whole story. If you look on the current Price List of Fragrant Earth today you will see a very strange thing. An essential oil called Ravensara but the Latin name attached to it would be Cinnamonum camphora and in small print, in brackets, the name Ravintsera applied to it. Quite regularly we now get letters from customers querying this or sometimes even telling us that we don’t know what we are talking about. Having introduced the oil, researched the oil for so many years, I think we do. However, I wonder if the botanists past and present really knew what they were dealing with. One thing that everybody seems to agree about is that the original Ravensara promoted by Franchomme was a member of the Lauraceae family. This confusion is best left to the Botanists to sort out. However, it does cause difficulties to the user. As an illustration if Coffee was renamed Tea and visa versa what would you drink? Would you change your taste just because the name changed? I don’t think so. This is a most important point for those using Ravensara in Aromatherapy. 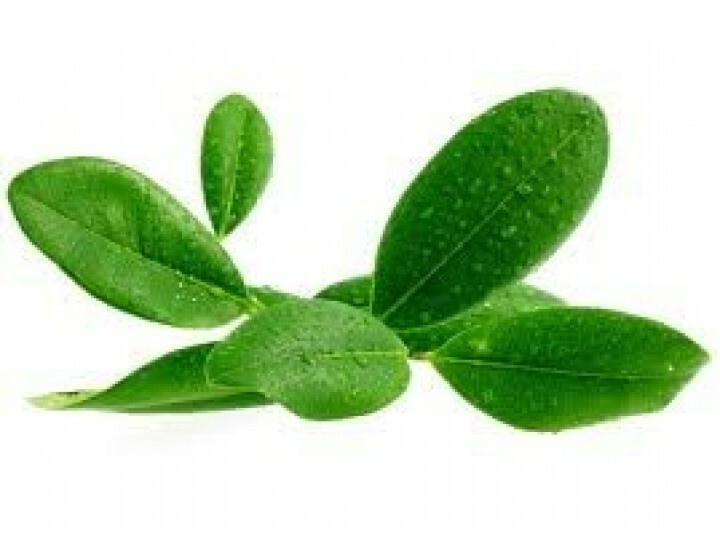 Perceived wisdom of the moment is that Ravensara as used by the early promoters of oil is actually Cinnamomum camphora. We will discuss how and why this is used in a moment but let’s go back to confusion in the trade. You will remember the conference I referred to above where some expert was saying that Ravensara was no more than Camphor. What this did, of course, was to allow some unscrupulous traders who were unable to source proper Ravensara to start promoting ordinary Camphor. Now unfortunately there is a tendency, especially among the British, to believe that everything can be bought cheaper. So, we can see that for a while Ravensara became a little suspect, hence the emphasis that companies like Fragrant Earth or Saffron Oils, under the aegis of Teddy Fearnhamm, remain proponents of true Ravensara and promoted the idea of provenance or authentic oils. This authenticity has always been the position of Fragrant Earth since its inception, for professional Aromatherapists. Undoubtedly, as can be seen from the names above, botanists have a continuing argument as to what Ravensara really is. Because we are increasingly governed by directives encouraging standardisation or legally enforcing changes Fragrant Earth now uses the Latin name Cinnamomum camphora. Frankly, it’s not our business as to what botanists decide the plant is called. Our business is to make sure that what we sold 20 years ago is still being sold today, because that oil works and it is the one that all clinicians are familiar with. At the time another oil Ravensara anisata was available in small quantities. It was hardly used and never promoted and considered by some to be on the toxic side. Most suppliers are far removed from the source of supply and they have to rely on things like GLC traces not knowing where their material comes from. This raises other issues. Reliance on a GLC is all well and good but the testing laboratory is only going to standardise based upon commercial samples that are given in the first place. If you think it through, those commercial samples can be very varied. Let’s take as an example the following. A laboratory asks for a sample of Cinnamomum camphora. Correctly the laboratory has asked for the Latin name because that’s more accurate than the common names. In their opinion, so far so good. If you now look at a list of essential oils, under Ho Wood or Leaf, you will also see Cinnamomum camphora. So with which does the laboratory get supplied? Cinnamomum camphora is a very varied species with quite specific geographic sub species and chemo types of essential oil. Room for error is obvious. The home of Ravensara aromatica is Madagascar. Madagascar, as we may have seen from various TV programmes, is a unique place on earth. It is a huge island – the fourth largest in the world. – Off the African coast in the Indian Ocean. It has a flora that is very special. When a plant is confined to a specific place, it is called endemic. Much of the flora of Madagascar is endemic. Madagascar, hardly on the tourist list, is considered a paradise for naturalists. About 11,000 species are endemic, only to Madagascar. Unsurprisingly, Madagascar is therefore a conservationist’s priority. Since Madagascan is subject to deforestation, the island is inundated with environmentalists and botanists. New species are still being discovered. The colonising country most associated with Madagascar is France and the first explorations by botanists date from the mid 1600s. Those of you familiar with the Ravensara aromatica listings will have noticed the name Sonnerat after the naming of the species. The Sonnerat collection period dated from 1768 and Mnsr Sonnerat and his uncle, the then Governor of Mauritius – another Indian Ocean island – collected plants from Madagascar. The Indian Ocean became a centre of flora exchange, species being transported from one island to another, from mainland India, Indonesia, right the way through to the African coasts. Unsurprisingly, introduced plants to Madagascar mainly come from Mauritius along with Sri Lanka and Indonesia. The nearby African coast came under British control and we must not forget the Dutch who controlled much of the original spice trade. Coming nearer to our own time, in the 20th century the French colonial governments promoted the cultivation of aromatic plants for use in cosmetics and perfumery. Madagascar became well known for its Geranium, Ylang Ylang and Clove oil. Due to the increasing popularity of Aromatherapy in the USA Ravensara has become sought after by that market. With grant aid from a variety of sources, new plantations and distilleries have been set up. Such grant aid always attracts academics, marketing experts and the usual bureaucracy that our society of scientific little boxes sets in motion. Each and every turn has to have an expert other than, of course, the indigenous or native population who in scientific terms never know what they are talking about. This applies to many medicinal plants. Eventually an active principle may be identified and isolated a clone developed. By that time and at that point rather cynically the exploiting company or academic institution will have almost certainly set up a commercial situation that will certainly disadvantage those that knew about the properties in the first place. Let us hope that Ravensara by whatever name survives the process! The EU, unbelievably, has allowed the patenting of plant applications in recent times. These patents rest mostly upon “discovery” of traditional uses. This is a gross abuse of our civil liberties and indeed our birthright, whereby indirectly we all own the natural plant resources of the planet. Patents should be about discoveries we don’t know about, not about what we do know about. An analysis of a particular substance is no more than that and its effects should not be patentable. Let us now turn to the traditional position of those who introduced Ravensara essential oil to the rest of the world. The local population sees and uses two trees. One tree smelled strongly of aniseed and was termed Ravensara anisata. It is found as a tree up to 20m high with a reddish strongly aromatic smell. The tree has small green flowers. It grows in the difficult mountain terrain and as an endemic species is under conservation controls. This tree, the least used, had the common name of Havozo or Avozo. Ravensara anisata has not been popular among Aromatherapists. It is the bark that is used for distillation although more recently the leaves\ are being distilled. Its distinguishing chemical feature has been Methyl Charvicol and Anethol. Botanists have now in their wisdom decided that Ravensara aromatica and anisata is one and the same thing. The native population has used and called a popular tree and resultant oil or brew Voaravintsara or Ravintsara and at today’s date is botanically classified as Cinnamomum camphora. Confused? It’s just a name change or clear up. Certainly the oils of the two trees are quite different. It does not seem to me at Fragrant Earth too much of a problem as what I buy, sell and use is what I used in therapy for the last many years. The source has remained the same, the indigenous people have remained the same and they know what they are doing. Elsewhere on Madagascar the new distilleries have obviously had to make up their mind what they are selling and at the end of the day oil suppliers will have to comply with the names and terminology that is imposed upon the species. So in effect for me and for a large number of therapists confusion arises only if and when they switch supplier or if and when new textbooks begin to be written. The best approach I believe to be as follows – and this is where analysis becomes useful. Let the botanists argue as to what something is. We as therapists however have the choice of three materials – one that is rich in Cineole, commonly called in the past in Aromatherapy Ravensara (now Ravintsara); two that are rich in Methyl Charvicol commonly called in Aromatherapy Ravensara anisata (but now for commercial reasons too increasingly called R.aromatica) from the bark of the tree and one from the leaves. None should be confused with Cinnamomum camphora from the Far East, Ho Wood or Ho Leaf, Linalool rich. This is a simple way of avoiding confusion. I don’t want to get into the situation of being the definitive guru on Ravensara. The sketch above probably outlines further battles over nomenclature to come. It is up to the supplier to identify what he is selling and to try to communicate this to his customer base. Obviously newcomers are very anxious to establish their credentials by being scientifically accurate. Long-term suppliers with provenance and simple supply lines don’t have to do this in the same way. All they have to do is identify in effect that this is the material or source that the original textbooks refer to. I think all of us in Aromatherapy have to face up to the main point –the oil introduced by Pierrre Franchomme and promoted by Teddy Fearnhamm and others and used successfully in Aromatherapy was generally called by Aromatherapists in Europe Ravensara aromatica. This is the so-called Ravintsara from Madagascar. Whatever botanists may call it, even if it is not the true or correct Ravensara aromatica, this is the oil that matters. It is quite easy to see that at the beginning, Ravintsara was wrongly called Ravensara and was, over the years, labelled Ravensara aromatica when in fact it was Cinnamomum camphora. In future printings Fragrant Earth will move to calling this product Ravintsara, which will be distilled from the leaves and ex-Madagascar. We will use the name Cinnamomum camphora L. ct cineol (ex Ravensara aromatica). This, I am sure, will satisfy nobody but should, to those practicing therapists, explain everything! A simple way of knowing what you have in the bottle is that if it smells of Aniseed in any way then it is not the original Ravensara (however, please note it is not botanically Ravensara aromatica). It is thought that the Cinnamomum camphora tree was introduced into Madagascar in the 19th century. Others however suggest it was much earlier via missionaries perhaps even the Dutch. This Ravintsara can be found growing everywhere there are people, it’s a popular plant. You will see it quite commonly on balconies and in pots! It is not necessarily surprising that the tree produces a different oil in Madagascar than in its own Far Eastern heartland. Cineole, Linalol, Safrol and Nerolidol are chemo types known to exist. If we accept that Sonnerat was right in his identification in the 18th century of Ravensara aromatica and assuming that Ravintsara as a common name did not exist at the time for Cinnamomum camphora then we have to query the use of the name R.anisata as a synonym. In 1950 a species was identified by Danguy as Ravensara anisata because of the perfume that came from the tree. It is now said they are one and the same thing. However in terms of the essential oil, Ravensara anisata is nearly always sold as representing the oil produced from the bark of the tree. This is the one with the strong Methyl Charvicol content. 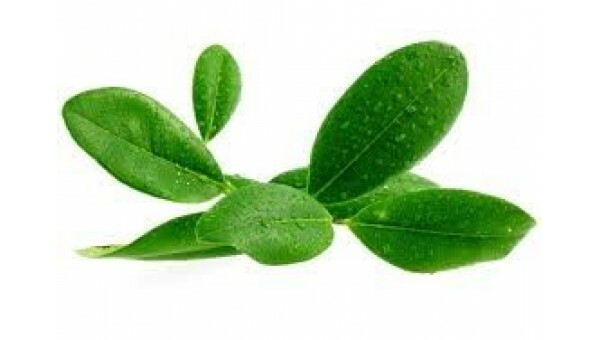 The oil produced from the leaves is sold increasingly today as Ravensara aromatica. Be aware this has a completely different chemical composition, being mainly composed of Sabinene, Limonene and Myrcene with Methyl Chavicol. This so-called real oil (in botanical terms) is the one nobody wanted before! Altogether a confusing story and one that requires a little knowledge of suppliers and their policies. Putting things straight is no bad thing but it takes time. No one should run away with the idea that one company is plain ignorant or playing games of I’m the better guru. There has been confusion in the past and I hope this article has somewhat helped to explain the issues involved. In any event if you see Cinnamomum camphora called anything like Ravensara coming from anywhere else than Madagascar, then watch out! It is the therapist who is at the working end of essential oils. It is the therapist who sees what works. It is true that they have to have confidence in their supplier and it is they who have to make the decision of with whom to place their confidence and trust. At the moment demand for Ravensara outstrips the supply and is likely to do so for some time. It is one of the most valuable oils in the Aromatherapy repertoire and supply permitting has the potential for becoming a star such as Lavender or Tea Tree. Another star on the horizon that will give botanists a field day, no doubt almost replicating the Ravensara botany story will be Kunzea ambigua, with the common name of Tick Bush, from Australia. Once this becomes popular, I can see the botanists finding alternatives but at the moment verbally we stick to the names Kunzea and Ravensara because in popular parlance in Aromatherapy and in the popular books that’s what they are still mostly called.